A great smile can transform the way you see both the world and yourself. 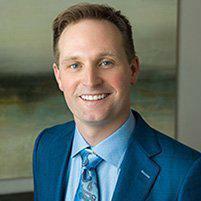 The accomplished team at Scott Young, DDS in The Woodlands, Texas, make dental implants for men and women of all ages. Dr. Young's exceptional team, including a board-certified periodontist, can replace severely damaged or missing teeth so you can enjoy your best smile. To learn more, book an appointment online or call the office for a consultation. For many patients, dental implants are the next best thing to having natural teeth. When you lose your teeth as a result of a traumatic injury, decay, or an illness, it can hurt your self-esteem. Dental implants are strong, stable teeth that look, feel, and function like natural teeth.  A dental implant is a metal post, often made out of titanium, that our dentists at Scott Young, DDS surgically implant into your upper or lower jawbone. The implant post serves as the root of your new tooth. Once the post has been placed and your mouth has fully healed, Dr. Scott Young will mount a custom-made crown that serves as a replacement tooth onto the implant. Since the dental implants fuse directly to your jawbone, they're strong and stable. They won't shift around uncomfortably in your mouth like some dentures. These screw-like metal posts can also help crowns, bridges, and dentures stay solidly affixed to your jaw. Our dentists place implants onsite at Scott Young, DDS, so patients don’t need to go back and forth between offices. If you have additional questions about the benefits or procedure for dental implants, Dr. Akers can provide the answers and information you need to decide if implants are right for you. It doesn't matter whether you're missing a couple of teeth or just one, you could be a great dental implant candidate. Good candidates have healthy gums and their jaws are finished growing. That's why dental implants are a fantastic solution for adults, not children. You may also be a prime candidate for implants if you're tired of having dentures that won't stay in place, or if you're ready to replace a bridge or partial dentures. Men or women in search of a more permanent, long-lasting solution to dental work tend to be great candidates for dental implants. Wondering if dental implants are right for you? It's time to take the first step toward a more confident smile and a more confident you. Schedule an appointment to ask questions and learn more about your options.